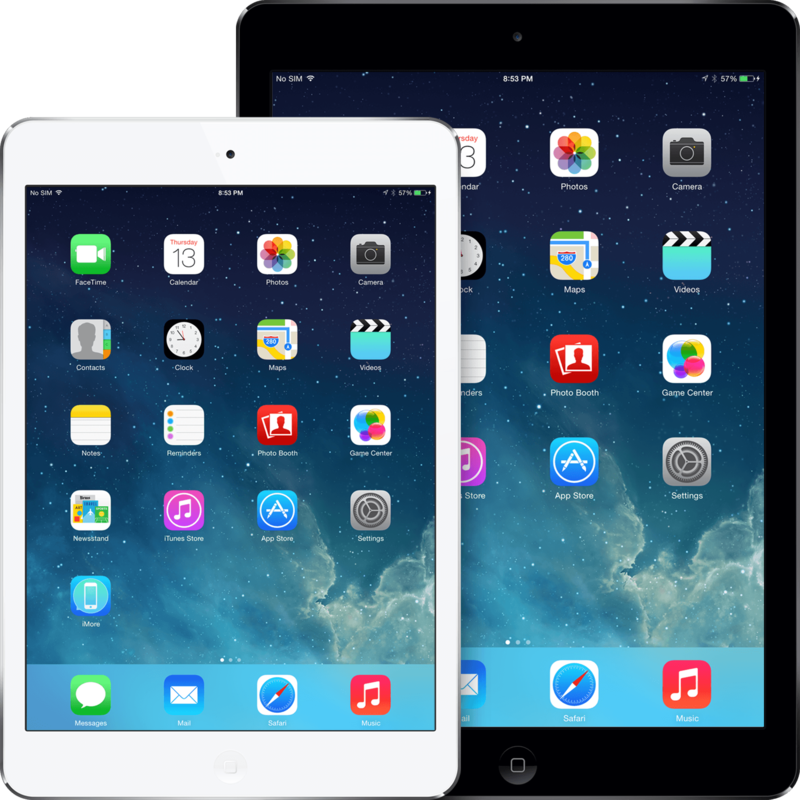 iPad classes and training | Got A New iPad For Christmas? Electronics are a popular gift choice for many people around the holidays. After all, they are both sleek and attractive, and they keep us connected in our fast-paced society. One of the fastest growing electronics markets over the past couple of years is tablets, with the Apple iPad leading the pack by a wide margin. These thin, fast, and capable gadgets are the perfect go-between for smartphones and full-on computers, and are the perfect accessory for anyone who likes to stay connected on the go. But anyone over the age of, say, 30, might be a little lost when confronted with these minimalist and lightening-fast tablets, and they will take some time getting used to. And with the over-40 crowd quickly becoming more tech-savvy, there is a huge demand for classes and tutorials revolving around things like tablets, smartphones, and other modern software. If you are the proud new owner of an iPad or iPhone, you’re in luck! The Digital Workshop Center in Fort Collins offers an intro class specially designed for iPad and iPhone beginners, and this hands-on instruction can get you feeling comfortable and confident with your new tech. In the meantime, here are a few easy tips to get you started! 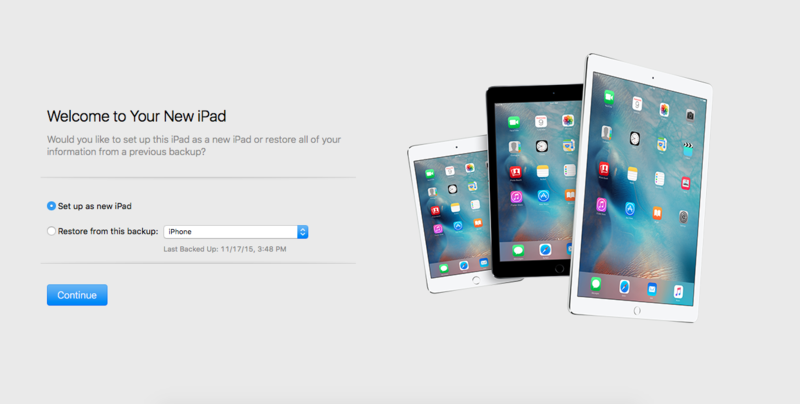 For anyone with a previous tablet device, there will be an option to either set up your iPad as a brand new device or restore it from a previous backup/sync from other Apple electronic. Newer iPads also have the option to transfer data and settings from Android devices, which is handy for the thousands of people that make the switch every year. So if you happen to have an old iPad lying around, you can sync your new tablet to transfer the settings and apps. But for most people, it’s a great idea to start fresh and set up your new iPad by hand. This not only lets you control the flow of junk, but forces you to learn as you go along, making you much more familiar with the layout and operation! The real goldmine of the iPad functionality lies in the Settings, so spend a little time poking around here. This is the place where you can really understand how your tablet works, and change things like notifications, appearance, WiFi, language, email, and iCloud (wireless synced offsite storage) preferences. In this vast menu you will also be able to control privacy and security, setting passwords and controlling what information you share across various channels. You will also see things pop up here when it’s time to update your software, or when you’re running out of storage space. Apple always pre-loads all their devices with a certain set of applications, as part of a package deal for their software and operating system. 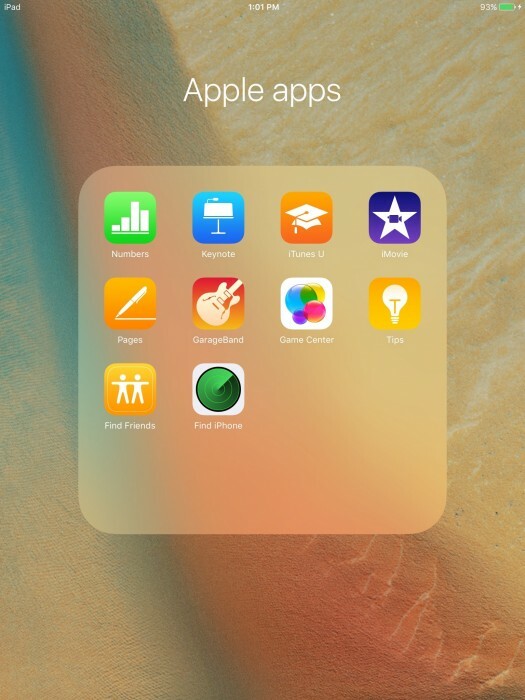 You will see icons for everything from iMovie to Newsstand, among several other utilities. Depending on your lifestyle and main tablet usage, you may or may not need these apps- however, you won’t have much luck simply deleting them! Apple doesn’t allow you to erase these applications, so the best way to handle them is to corral them into their own “section”. This will leave much more visual space for the apps that you really like and use. You can also perform the same action to organize your other apps by themes or functions, like “finances”, “social media”, “games”, and more! Things happen- coffee is spilled, settings are accidentally erased, storage fills up fast. 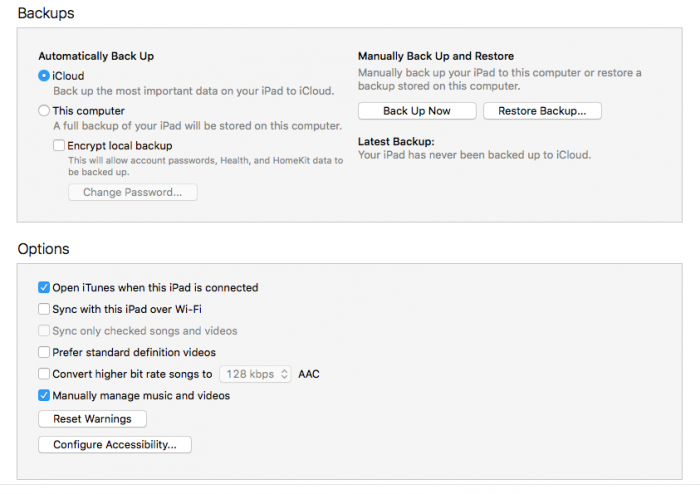 No matter what you use your new iPad for, it’s a good idea to make sure you have a backup plan. Luckily, Apple makes this pretty easy to configure, depending on your preferences. You can connect your iPad to your Mac computer via the provided cable, which will open iTunes and ask if you want to make a backup. 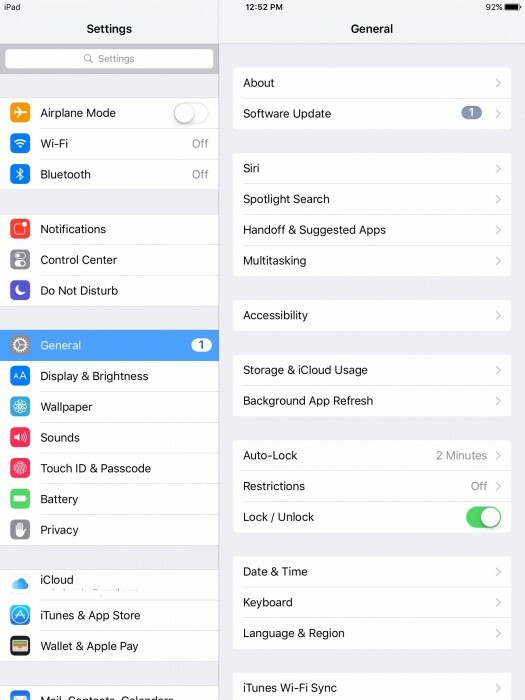 You can choose to backup your iPad to your computer or to iCloud, and you can set up automatic backups to occur regularly, and indicate whether you want to sync via WiFi (without the cable) when you’re within range. Even at the most minimal of functions, your iPad contains a lot of valuable data (emails, messages, GPS/location data, music/movies/pictures, and more), and you don’t want to lose it all because you didn’t make a backup! This is a very brief overview of how to get started with your new iPad, so if you’re still having questions or simply want to up your game to full iPad mastery, we highly recommend you sign up for our intro course! You will learn all the basics on how to use your tablet, set up email and contacts, use and manage Apps, and much more. Fill out the form below to tell us more about how we can help you get started! Fill out the form below to request more information about Got A New iPad For Christmas? Here’s How To Get Started or to request information on customized individual or group training sessions. Location availability may be subject to change. Join the DWC email newsletter for the latest class schedule, events/news, special promotions, tech tips and tricks, and more. Call us at (970) 980-8091 or email us and a staff member will contact you within 1-2 business days.